ACOSS AIR program operates year round. The primary aim will be for the artists to work on an agreed project in Yerevan and in the country as well. It is possible for participating artists to have an exhibition in ACCEA (Armenian Center for Contemporary Experimental Art) NPAK, Yerevan ( http://www.accea.info/en/home/ ), in The Museum of Modern Art, Yerevan and in Gallery 25, Gyumri but artists must discuss this matter with the curators in advance, submitting their exhibition proposal. ACOSS residency program is a project workshop for the promotion of multi - disciplinary art and cultural international exchange in and out of Armenia. We call artists from all artistic disciplines to live, work, and collaborate during their preferred time of staying. Art Disciplines: Visual Arts, Curatorial, Art critical researches, Composing, Crafts, Dance, Fiction, Non Fiction, Theatre, Playwriting, Screenwriting, Film making, other. ACOSS has 2 locations in Yerevan and organizes residencies in Yerevan and in the country. Please, mark in the application form where would you like to have your residency stay. You can make final decision when you arrive Yerevan, too. Because the organization doesn’t own the space, 75% of minimal program fee covers housing. 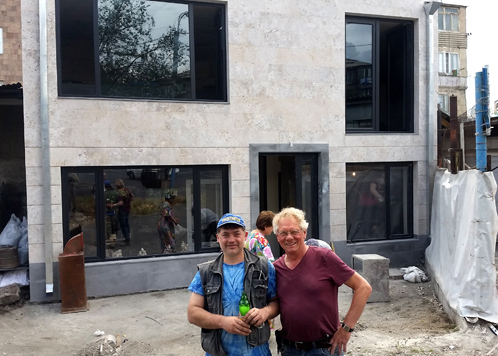 Mkrtich Tonoyan with Jan Doms in front yard of ACOSS. ACOSS main project room is located in one of the districts of Yerevan called Zeytun 240 m/sq territory with garden, planted by grandfather of ACOSS director Mkrtich Tonoyan. Yerevan is the capital of Armenia. The region is not far from the city center (it takes 20 minutes by public transportation). 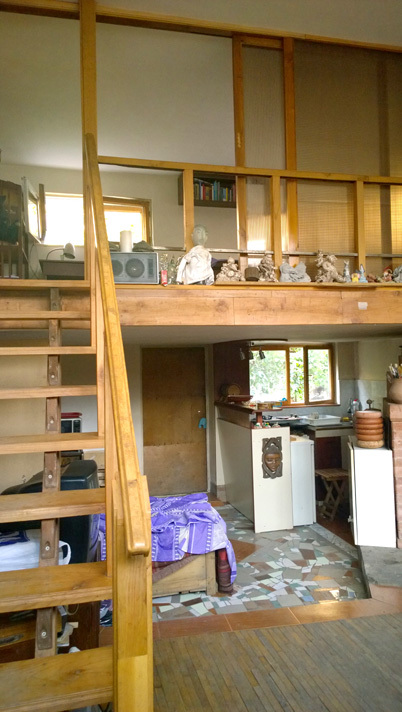 Our micro-residence building is an art studio with one bedroom is a separate building on main road with a garden. It is comfortable and has great aura located on Roubinyants st.. There are many shops round and 24 hours open supermarket. Easy to access to all major transportation. It gives a possibility to live and work in the same area. 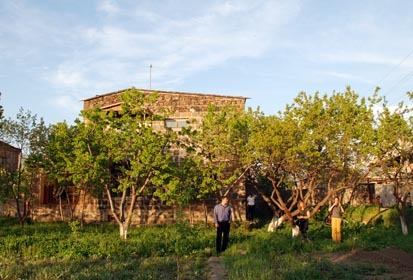 The residency has program fee covering main expenses related to the residency (comfortable housing, basic studio space, some materials and cooperation with ACOSS members), with small amount subsidy ACOSS covers other expenses related with the residency, supporting visiting artists (utility expenses, electricity, hot water, TV-set, internet and one tour to the historical sides of Armenia). It is possible to have open studio day in the same place. 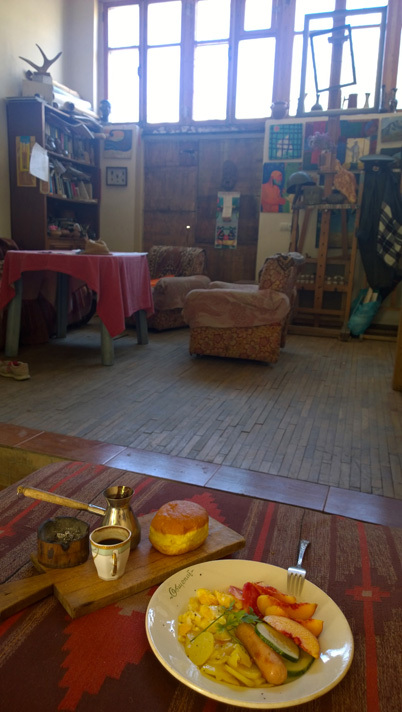 It is an art studio, in Zeytun district of Yerevan, near where I am living with my large family. There is a garden, planted by my grandfather in between my home and the studio. There is a big supermarket very close to my place which is open for 24 hours, there are restaurant, fast-food, bakery and many other shops nearby. We are located on the central street and it is very easy to get public transport to every side of Yerevan. I can show my gests around, maybe also take to excursion nearby. It is comfortable for 2 people but can host 1-2 guests more if there is necessity. Guests will have access to their bedroom, small kitchen, washing machine, TV and internet. Bathroom, living room, garden, yard, fireplace and kitchen will be shared if there are more than one artist staying I the same time. It can be a village near or far from Yerevan, depending on the concept of artist's project and what kind of landscape is preferred. It can be a settlement near any historical monument or just a location disconnected from urbanization; a rural area. 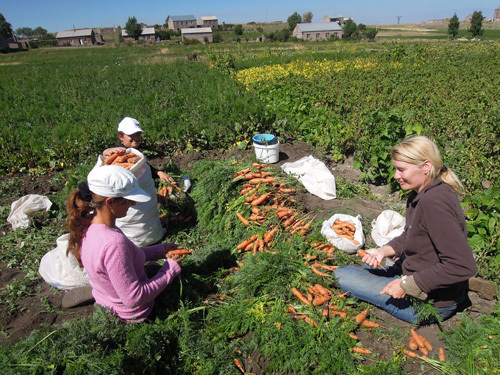 It can be also border zones of Armenia and Artsakh, where ACOSS organizes expeditions, research tours and different kind of socially engaged projects frequently. Through the Artist-in-Residence ACOSS supports international art activities bringing multicultural dimension to the region. The guest artists have opportunity to work in a peace space, separated from the everyday haste, set new contacts in the art field as well as to the local community. If artist's project is connected with Yerevan city, we can organize housing in the city. Interested artists have to discuss this matter with ACOSS artistic director beforehand. The program consists of a residency up to one year and includes private and sharing studios, housing, and three meals per day by agreement. 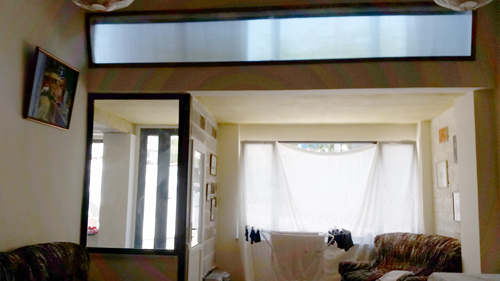 Private studios can be available for artists 24 hours a day. We are sure that the friendships established among artists in residence often lead to collaborations and connections after residency period. Financial aid or in-kind support is available, based on discussions beforehand. On completion of the residency the artists get a Certificate about participation in the ACOSS Artist-in-Residence program and receipt confirming program fee payment by artist if there is any need. If we do any publication (Booklet or Catalog on Final Exhibition) will be provided with detailed report that gives an account of project completion and of all the professional activities in which the artist has engaged during the residency. 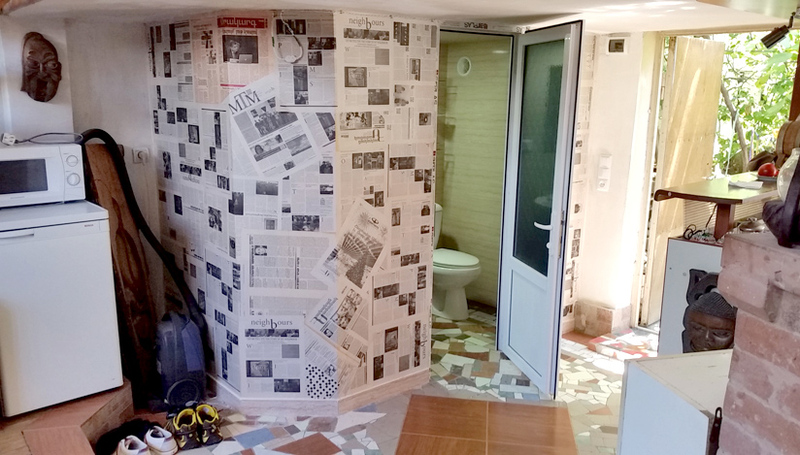 If artist books residency via AirBnB, the stay can be evaluated also with mutual feedback about the experience of stay in our spaces which has account in AirBnB. 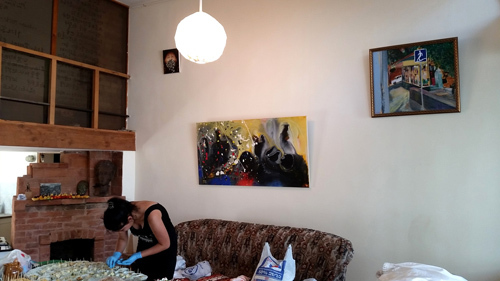 ACOSS also has opportunity to provide artists with separate apartments in other districts of Yerevan and in the country. Decisions are made by our selection panel and are announced 20-30 days after getting the application.Collaborating artists must apply individually. Applicants should present the following documents. 1. Artists Statement: Please write (500 words, 12 pt font). Write about your creativity, your current thinking and what you would like to accomplish during your residency time in ACOSS. A DVD copy is expected to be submitted for preview purposes, accompanied by a printed application form. The DVD should be sent to ACOSS postal address. Please, first contact us via e-mail. Shipping of the preview copy or copies is paid by the applicant. No preview copies are returned. Please send us 1 SASE with postage for return of materials if you want your materials back. We would love to invite all participants but because of great lack of available art funding in Armenia unfortunately we do not have the budget which would allow us to cover artists’ expenses or grant a residency. We are able to cover only utility expenses (but heating in winters), internet and one tour group tour to the countryside. However, if participants can find resources to cover their expenses (travel, living, housing and medical insurance) through an institution in their country, we will be happy to provide any official letter required to support their fundraising. We encourage artist after application review and acceptance to book their residency dates in our AirBnB account, where they will learn also more about fee policy. Ask link from us if you are interested in reservation. (This is subject to be changed at any time, since we don’t have permanent funding and have to keep this policy flexible, too). 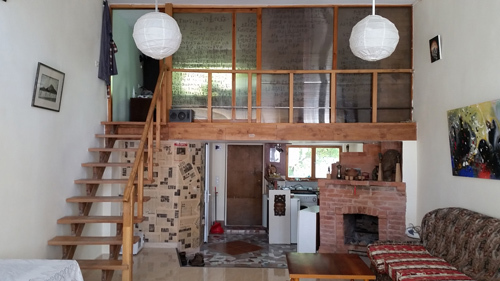 Program fee is 340 – 420 euro (Armenian dram 175.000-230.000) monthly which includes housing (one person) and working space, depending which building will artist prefer to stay, (from one month up to 3 months), from 3 months up to 1 year residency fee is 250-350 euros per month. If less; 2 weeks 18 euro per day, 3 weeks 15 euro per day), plus, heating in winters. Local transport; 100 Armenian dram (20 Euro cent) in Yerevan. Food; if you cook yourself 80-100 euro is enough for 4 weeks (depending on your appetite. But it is possible also to hire a cook. If there are other artists that would like to share this service with you, it costs like 3-5 euro per day for breakfast and dinar. Restaurants – 3-5 euro is OK for lunch. Drink and cigarette are cheap; 50 cent for one box cigarette. For more detailed information about living expenses or any that will help you design your budget, please, feel free to contact us. We have no deadline, but all potential applicants of ACOSS AIR program have to apply at least one month before their preferable residency date. For more information on how to apply, please, contact us.